IRA Advantage has streamlined the process to make it affordable and efficient. We will navigate you through, ultimately funding the account that becomes your greatest investment tool. You’ll feel secure in the fact that your Self-directed IRA can make investments you understand and control. IRA funds are in the banking institution of your choice. Your hard earned retirement is locally held by an institution you know and trust. Invest In What You Know! Services Nationwide including: Seattle WA, Portland OR, San Francisco CA, Los Angeles CA, San Diego CA, Phoenix AZ, Lake Oswego OR, Salem OR, Bend OR, Eugene OR, and Beaverton OR. Learn how easy it is to invest in real estate with a Self-Directed IRA in this 4 part video series presented by David Moore of IRA Advantage. 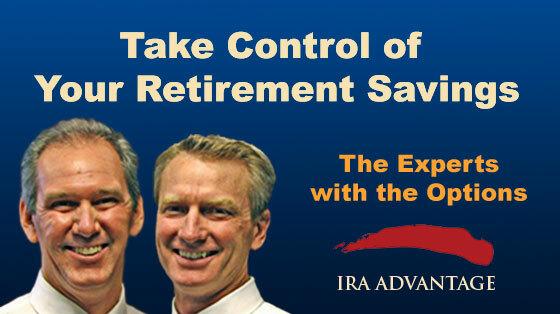 Call the experts at IRA Advantage today!